We pride ourselves on providing the clear, focused and pragmatic advice which commercial clients are looking for. A number of our members have prior experience in business and are fully aware of commercial imperatives and objectives. 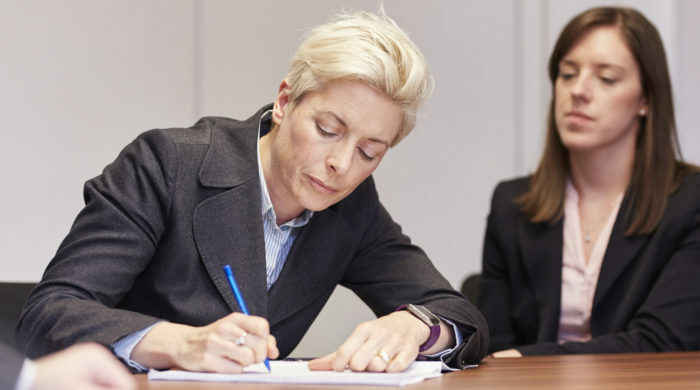 Park Square Barristers has a wide range of experience in commercial and chancery matters, and our barristers regularly appear in the Mercantile and Technology & Construction courts in Leeds and Manchester. With 29 commercial practitioners, and an ability to leverage its strength in other related disciplines, Park Square Barristers is well placed to advise on a broad spectrum of issues, including company and partnership law, insolvency, wills and trusts, and professional negligence. – Click here to see more. We have 29 barristers practising in the area of commercial & chancery law, amongst whom David Rose was recognised in Legal 500 in 2014 for commercial, banking and insolvency work. Our high-quality legal advice enables our clients to reach sound, pragmatic decisions for the resolution of disputes. We are well-practised in drafting complex documents and putting them into plain English. Advocacy, especially at trial, is a particular strength. We work very much as a team, enabling cases to be run smoothly and continuously and with access to a range of expert opinions. We also work across teams (for example, with our Civil Fraud, Family Finance or Regulatory & Disciplinary teams) wherever a multi-disciplinary approach is needed, such as with health & safety cases and directors’ disqualifications or family property disputes. Commercial or chancery disputes can take on unusual facts or overlap with other areas of law, and this is where our size and strength will benefit you. We have experience in matters as diverse as defamation, insolvency, agricultural tenancies, international disputes and letters of credit, professional negligence issues, restraint of trade, intellectual property matters, building disputes, commercial leases, insurance cases, partnership disputes, guarantees/indemnities, easements and rights of way, travel, tourism & package holiday cases, planning, insolvency & bankruptcy, boundary disputes, and landlord & tenant disputes. We also offer a mediation service. Chancery is a very wide area, but our large team will handle matters such as partnership and company disputes (from the formation of companies through to dissolution, or unfair prejudice to minority shareholder claims) and all matters relating to insolvency, trusts, wills and all aspects of land disputes. Our barristers are able to offer expert advice and representation at all levels of seniority. We act in commercial and residential property disputes involving the private and public sector. Our clients include private and commercial landowners and developers in relation to existing or claimed interests and rights over land, including restrictive covenants, boundary disputes, rights of way, right to light, adverse possession, trespass and nuisance. We also have experts in village greens and commons. Our members also have significant experience in landlord and tenant disputes, including possession, dilapidations, terminal obligations, and public sector housing management (including anti-social behaviour injunctions and committal) and homelessness. Our team provides drafting and advice on non-contentious matters as well as legal disputes in matters relating to probate, Inheritance Act claims and Trusts of Land and Appointment of Trustees (TOLATA). The Commercial & Chancery Team will liaise with colleagues in the Family Team where matters clearly overlap. Please contact us if you would like to instruct a barrister directly, without a solicitor as an intermediary.